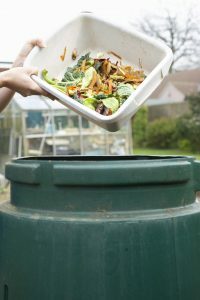 Composting the Right Way - Columbia Builders, Inc.
Composting is a great way to reduce your home’s waste output and create material rich in nutrients for your garden! Composting is a gardening activity that many homeowners are interested in learning about, and often find easier to accomplish and more rewarding than they expect. Composting is one of the best things you can do for your home garden – it is safe, natural, and richer in nutrients than commercially packaged fertilizer. Additionally, it is completely free and reduces your home’s impact on the environment! Here’s how to get started composting the right way. The process of composting involves the decomposition of green waste (which is rich in nitrogen) and organic matter (which is high in carbon). The optimum balance of these two materials is the key to successful composting and a healthier garden. Generally, a 50/50 ratio of green waste and organic matter is the goal, and best for most home landscapes and gardens. What Kinds of Materials Work for Composting? To ensure your compost system produces rich material for your garden, you’ll want to follow a few good practices to achieve effective results. Choose a flat, easily accessible spot on your property that gets some sun and has great drainage for your compost bin. Most folks find that a stationary compost bin (also known as a continuous bin) is the best choice – they typically have lids to keep little critters out. Dark colored bins with a lid also help to generate heat, speeding up the process. Create a 12-inch base layer of straw and leaves to allow air to circulate before alternating layers of green waste and organic materials. Ensure that you always add a fresh layer of organic material after adding a layer of green waste, and mix the contents in your bin every two weeks to promote aeration and decomposition. You’ll notice that the compost pile does shrink over time, so continue to add layers until the bin is full. A good practice is to harvest the compost for use in your garden every six months. This entry was posted on Thursday, March 29th, 2018 at 9:34 am. Both comments and pings are currently closed.